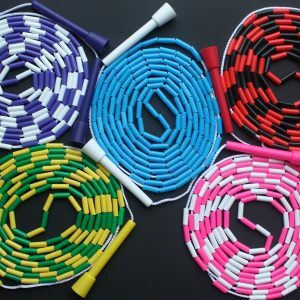 The SKIPnROPE double dutch set. Consists of 2 x 16ft red and white coloured ropes. 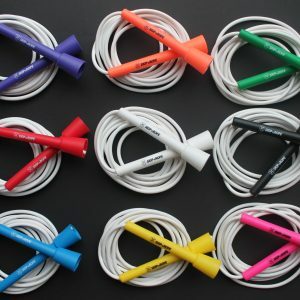 Skipping helps to develop the left and right hemispheres of the brain, to further improve spacial awareness and reading skills, and increases memory and mental alertness. 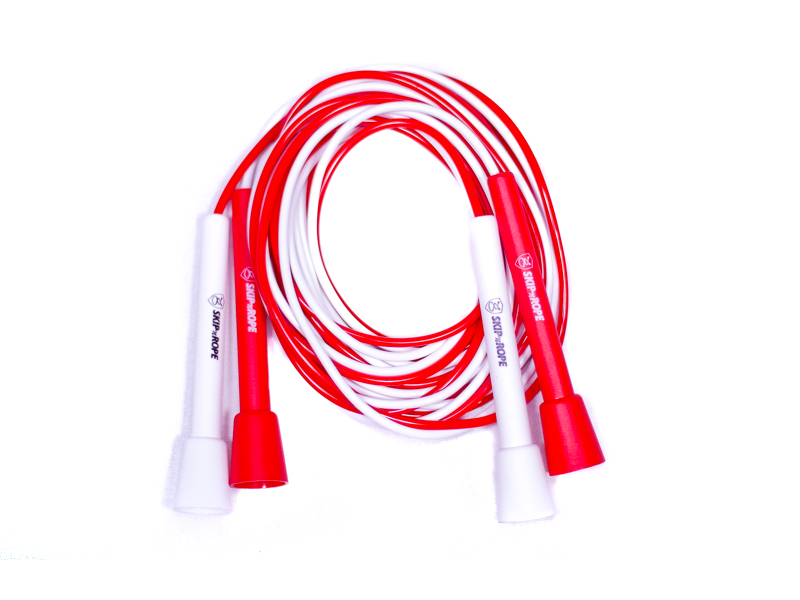 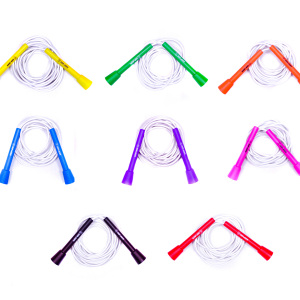 The double dutch set have 5-inch medium sized handles and are made from PVC plastic. 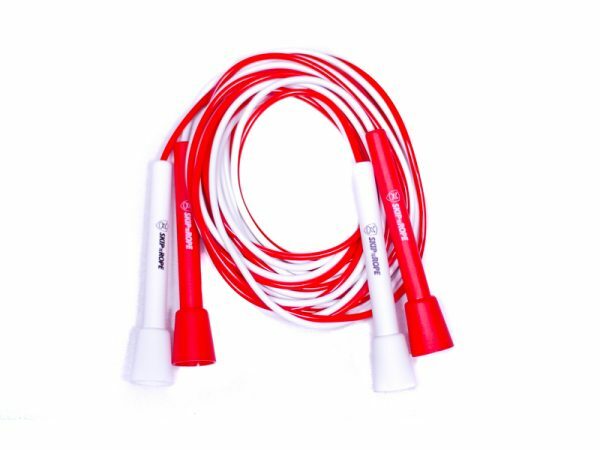 They are comfortable to hold and allow you to turn the Double Dutch rope at a greater speed. 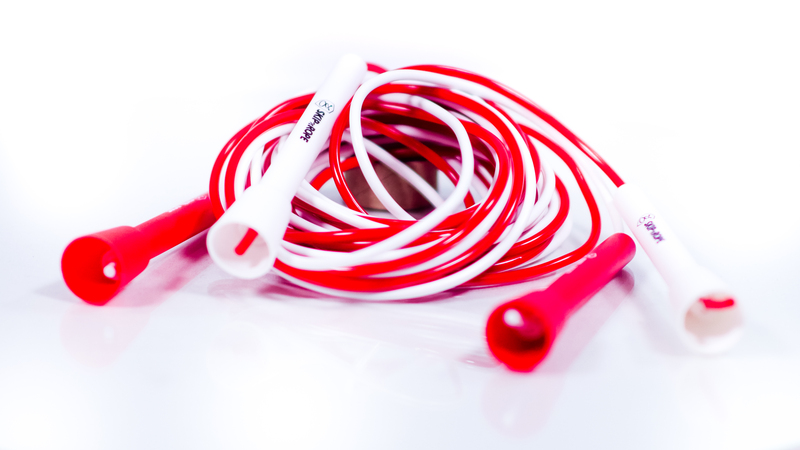 Each rope contains a plastic adjustable snap lock system. 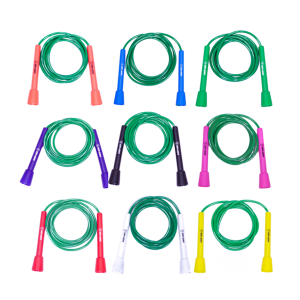 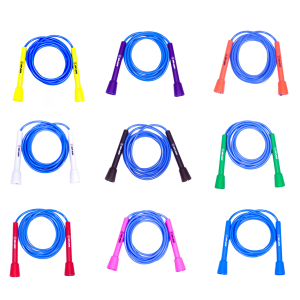 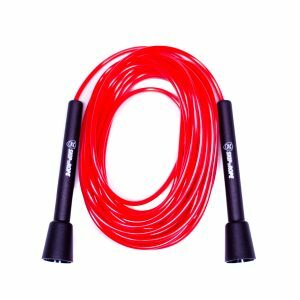 The SKIPnROPE handles are heavy duty and can handle many different conditions.